Earlier this week, we reported how the 12th China International Aviation and Aerospace Exhibition (Airshow China) in Zhuhai, South China's Guangdong province, is a traditional event for Beijing to demonstrate its expanding defense sector in front of world leaders and arms dealers from over 40 countries. Throughout the week, state-run media has been releasing reports of defense exhibits and demonstrations of China's next-generation of weapons. 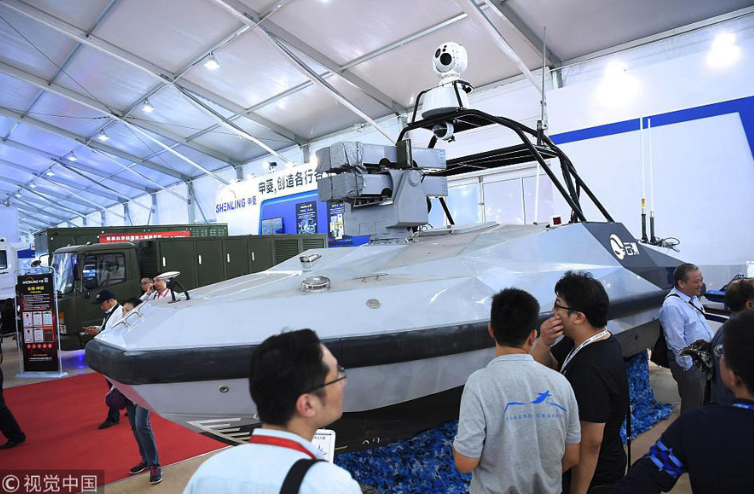 In particular, what caught our attention on Thursday morning, is that China has developed an autonomous boat that can conduct reconnaissance missions and fire up to four image-guided missiles, said China Daily. 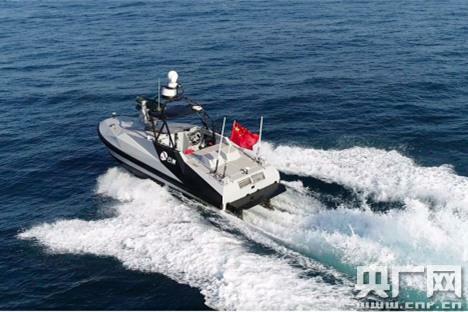 The drone boat, called the Liaowangzhe-2, is the country's first and second globally to fire missiles successfully. Israel's "Protector," a drone ship, fired rockets during an exercise last year. This is the first time that Liaowangzhe-2 has been released for public viewing and or allowed coverage by state-run media outlets. Zhuhai-based shipping developer Oceanalpha, Xi'an Institute of Modern Control Technology and Huazhong Institute of Electro-Optics are Liaowangzhe-2's shipbuilders, according to China Daily. The vessel is 7.5 meters long and 2.7 meters wide, has a maximum speed of 45 knots. It can sail about 310 nautical miles at a rate of 22 knots. It is rated for all type of sea conditions leveled below rough, or waves below 2.5 meters high. Liaowangzhe-2 is considered a reconnaissance and strike vessel, and it is equipped with a missile launcher on the bow with a maximum range of 5 kilometers under an image-aided terminal guidance system. 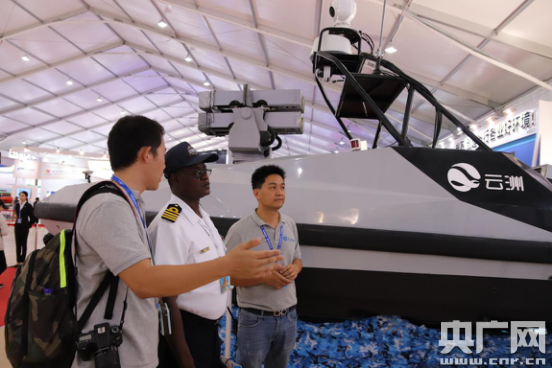 It seems that China has found a new autonomous vessel for reconnaissance and strike missions around its militarized islands in the South China Sea. With trade war tensions spiraling out of control between Washington and Beijing, and the US continuing to sail its Arleigh Burke-class destroyers around the militarized islands -- further angering China. 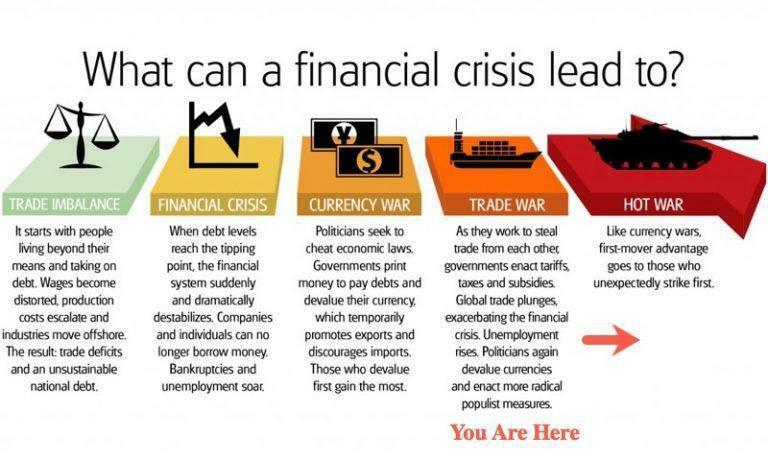 Global trade momentum is rapidly slowing, with the risk of a full-blown trade war in 2019, which seems both world superpowers are preparing for the inevitable: a hot clash. 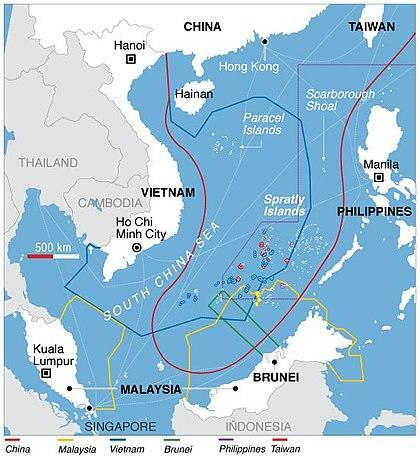 Maybe Beijing is indirectly warning Washington that the South China Sea is about to be flooded with rocket launcher drone boats as a deterrent.